I was invited to compete in Season 5 of Project Run & Play !!! What perfect timing... just before I was invited a child sized dress form (in above photo) arrived in the mail, a brand new tool for me to use, so I am ready to dive right in. Season 5 will start September 10th with voting starting September 14th. Check out the other 7 designers in the competition, should be fun, huh? 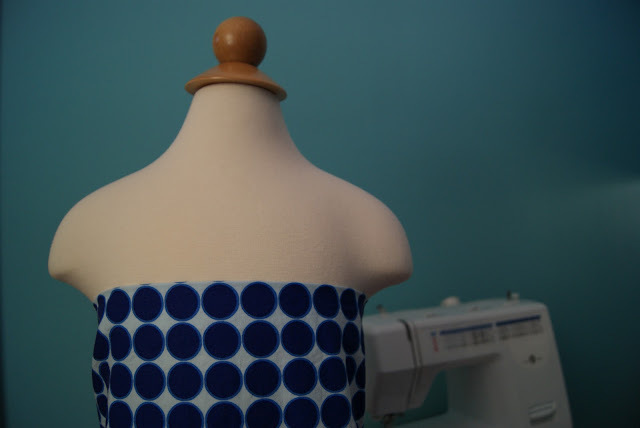 This will be a wonderful opportunity to improve my designing/pattern drafting/sewing skills. I want to push myself and learn more. I also want to have fun, try new things, and to step it up a notch. We will see what time and my ability will allow. Can you tell I am so looking forward to this? Many thanks to Elizabeth & liZ of Simple Simon & Co for the invitation ! I sure hope my sewing machine doesn't break anytime soon. I'll see you on the runway!